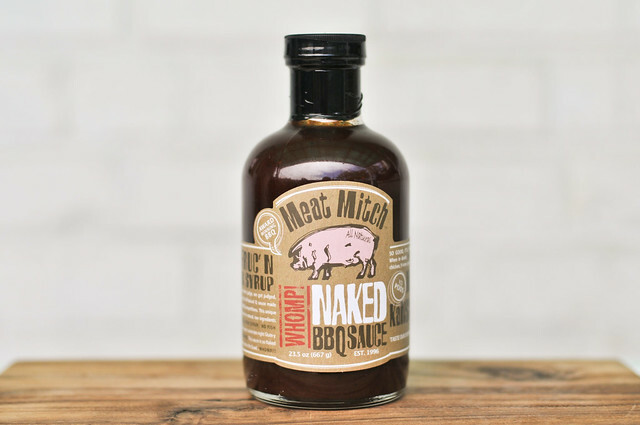 Ditching the HFCS, Meat Mitch Naked BBQ sauce continues the robust and balanced flavors of the original, with better grilling performance, giving the power to turn drab chicken into picture perfect, stellar barbecue. 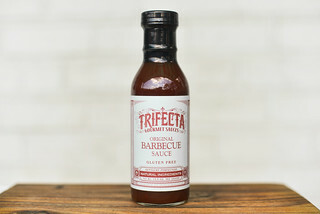 A few months ago I ordered a bottle Meat Mitch BBQ Sauce on a whim, and quickly found it taking a coveted "9" on my barbecue sauce awesomeness scale. This caught the eye of a friend of Mitch's, who hooked me up with the man himself. Gunning for the first "10," Mitch sent a couple bottles of his other "naked" recipe that takes a non-high fructose corn syrup approach. Based on my love for the original, I was excited to try out another one of Mitch's inventions. There's a heavy aroma of molasses, which mixes seamlessly with a tomato that's reminiscent of tomato paste. A deeper whiff brings across a slight vinegar burn on the nose, breaking through from its sweet base. Overall the aroma starts the story of a heavy handed, yet well balanced, ubiquitous barbecue sauce. Despite the dark maroon hue, you can easily make out a lot of spice specks throughout the sauce. The consistency is thick, yet pourable, with a lot of sauce clinging to the spoon that flows off of it in a slow, syrupy fashion. A spoonful of this is like digging into a big bowl of molasses. There's a deep sweetness that combines with the strong tomato base, packing in an equal hefty punch of tart vinegar. Getting beyond these upfront, bold flavors, you can make out an array of spices and clear notes of onion and garlic. While the sauce starts out mainly sweet, it quickly mixes with the vinegar and spices to deliver a pretty consistant flavor from start to finish. While the sauce maintained a similar texture and flavor profile as the original out of the jar, on the grill is where I picked up the biggest difference. It first coated and baked into the chicken incredibly well over indirect heat, but when moved to direct heat, the sauce thickened with nice spots of caramelization which never blackened like the HFCS version did. This created a picture perfect piece of chicken whose good looks were only outdone by its taste that was a even split between molases and tomato, with a vinegar tang throughout and hint of spice at the end. So can Meat Mitch claim the first 10? Not quite. In all honesty, I'm not really sure what a 10 will be, but I'll know it when I taste it. Still, this is pretty damn close to being perfect. 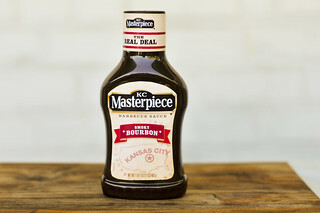 The flavor was balanced, robust, and hit all the notes you want in a barbecue sauce. Then it performs outstandingly well on the grill, even better than the original, so I recommend forgoing the HFCS and going "Naked" when choosing between the two Meat Mitch sauces. 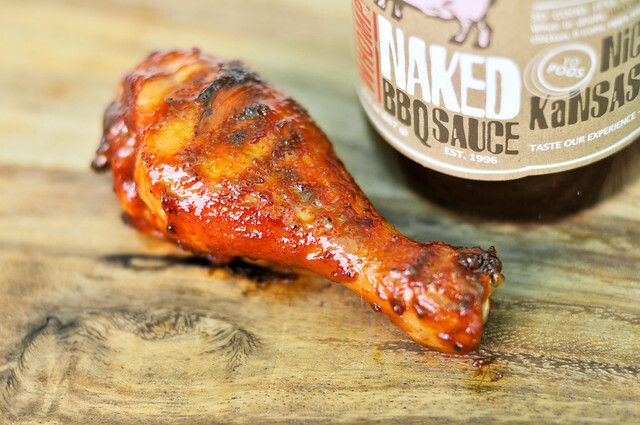 The only downside is merely a matter of preference, with the heavy flavors maybe being a little too strong for some—there's the possibility of the sauce overpowering the meat—but not for this Meatmaster, who loves how Meat Mitch Naked BBQ Sauce can transform drab chicken into stellar barbecue. This sauce must be the real deal, I know you don't give out many 9's. It is, I recommend giving it a try. Especially for competition. 9? Must be very good sauce you have in there. Any secret ingredient which is not listed? 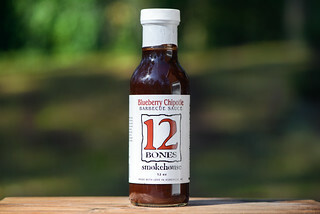 Why not try to sell some online for those best barbeque sauce addicts like me. thanks for the great review. In regards to using this sauce for competition, would you "doctor" it up a little to hit all of the flavor profiles the judges are looking for, and if so what would you use? @Brad For competition, I think the sauce would work fine as is, but I personally like a little less molasses, so may add honey and maybe some extra ketchup if using it on ribs or chicken. On pork, I'm a vinegar man, so I may add some extra vinegar, probably rice vinegar since it's flavor is less intense and this sauce is already plenty tangy. 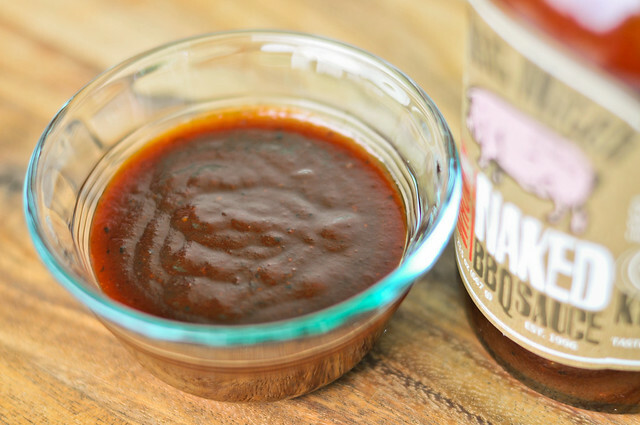 @Brad MeatMitch and Blues Hog are the two most solid competition-style sauces I've reviewed. I thought Lambert's was solid, but while it has the glossy sheen that plays well in comps, the flavor may not be as bold as you may like for a just 1-bite tasting. It's a pretty fantastic sauce though. Thanks for all of your responses...you are the man. It's hard to find a good competition sauce that 50 other teams aren't going to turn in at the same time. Any suggestions?